Bloom's image taken from space. In a first, NASA is conducting a study of the world's largest phytoplankton bloom in the North Atlantic to see how the tiny sea critters influence the climate in every season. The North Atlantic Aerosols and Marine Ecosystems Study (NAAMES) mission began its fourth and final deployment, which will study how phytoplanktons give rise to small organic particles that leave the ocean and end up in the atmosphere, ultimately influencing clouds and climate. It is the first research mission to conduct an integrated study of all four distinct phases of the world's largest phytoplankton bloom. "Most scientists studying the bloom head to sea during its climax in late spring and early summer. We did that, but we also went out during the other seasons to fully capture the minimum and transitions of the bloom," said Rich Moore, Deputy Project Scientist at NAAMES. This thoroughness pays off as our ship-based scientists use these data to fully describe the entirety of the plankton bust/boom cycle," Moore said. "No one has done this before, and we're excited about the scientific findings that are beginning to trickle out now," he said. NAAMES research challenges traditional ideas about bloom dynamics and species succession. 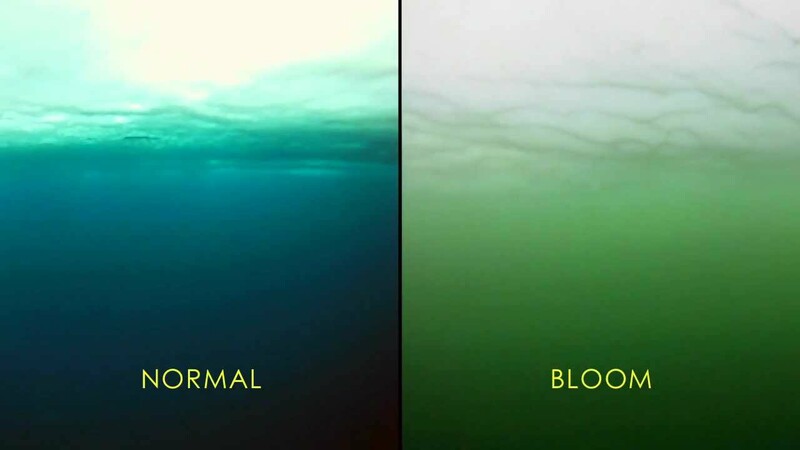 Findings from three deployments have already confirmed a distinct shift in the annual cycle of the phytoplankton bloom and researchers have noted a clear lack of larger-sized plankton during the peak of the bloom. During previous NAAMES deployments, researchers completed 220 research hours aboard an instrumented C-130 aircraft along specific tracks and maneuvers over the North Atlantic, including flyovers of the Woods Hole Oceanic Institute's (WHOI) Research Vessel Atlantis, which carries more than 50 researchers and crew members. The ongoing ship deployment is currently collecting observations of ocean biological composition and stocks, aerosol measurements and optical properties of the North Atlantic study area. 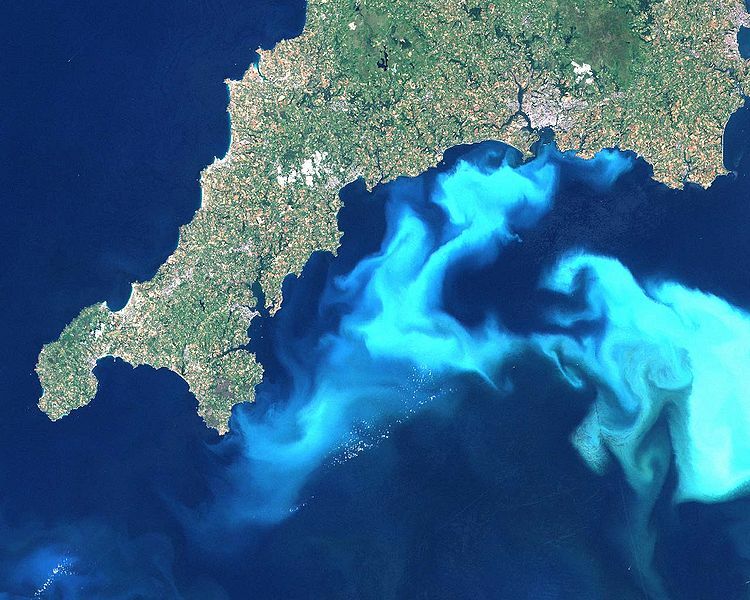 Satellites such as CALIPSO, a joint NASA and CNES mission, also help to study the ocean and the atmosphere - from the depths of the phytoplankton bloom to the clouds and atmospheric particles in the sky above. This final NAAMES study researches the "ascending transition" of the bloom, which occurs after the phytoplankton minimum in February. In the March-April phase, the plankton is growing steadily, with their abundance in the water continuing to increase or accumulate toward the maximum of the bloom between May and July. This final NAAMES campaign provides a unique opportunity for researchers aboard Atlantis to do experiments that study growth and decay of the phytoplankton population. "For scientists watching the rates of growth, this is the exciting time, because the accumulation rate is expected to be going through the roof and stay high for the next few months," Moore said. Rates of phytoplankton accumulation are critical for understanding the ocean conditions that lead to phytoplankton growth and its timing, a key to unlocking the environmental drivers and controls of biological dynamics. Since scientists are also interested in the link between the ocean, atmospheric particles, and clouds, they have conducted meteorological balloon launches from the ship on a regular basis to capture information relevant to cloud formation processes. By combining global data from NASA satellites with the ship, aircraft, and autonomous assets such as floats, along with laboratory research and balloon data, scientists are able to not only understand the current state of the atmosphere but also how it is evolving over time.